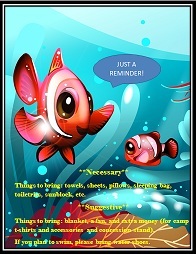 The Form Gallery, Issue #061 - "Tips to a Perfect Youth Camp"
I hope everyone had a Blessed Weekend and Mother's Day. I'm excited to let everyone know that FreeChurchForms.com is now available on your mobile phone. Check it out! Are you finding yourself overwhelmed in the office? Shepherdbase will save you a lot of time in your church office. Shepherdbase - Church Membership Database will track memberships (unlimited), contributions, attendance and much more for ONLY $34.99 so Hurry & Enjoy these Savings! Early YC (Youth Camp) Advertisement - Advertise your Youth Camp date and and tuition cost ahead of time. Early YC Registration - Pass out registration applications and medical release forms and encourage early pre-registration and pre-payments. Give an early return date for all monies and forms to be turned in (recommend 14 days). Emergency Plan in Place - Definitely have your YC Staff educated on your Emergency Plan in the unexpected event of an emergency during camp. Show Up Early - Show up early and ensure all facilities are open and ready for your campers to go (recommend at least one hour early). Pre-Registered List - Before your camp registration begins, be sure you have a list available of each camper's name, age and dorm that is easy to check off as they check into camp. Also, know ahead of time exactly how many campers you are expecting to have and give each dorm parent a list of the children in their dorm including name, age, address, etc. 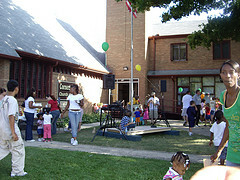 Parent Invitation - Invite each parent that checks in their child to pick their children up at least 15 minutes early to see what they have learned during their stay at camp. YC Staff Communication Keep in contact throughout the day with the head Youth Camp Instructor/Leader to adjust the schedule if needed. Also, throughout the entire camp communicate any concerns to your YC Staff leader because this will help your camp to go smoothly. I have free Youth Camp forms such as YC Registration, YC Staff Application, Rules, Counselor, Registration, Waiver Forms, Games/Activities, YC Reminder Notes and more. Click here for the Free Youth Camp Forms. 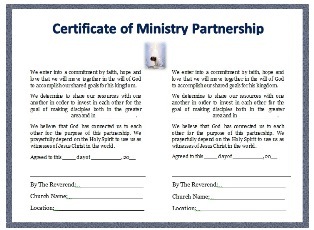 I have three free ministry certificates such as Certificate of Ministry Partnership, Certificate of License, and Certificate of Ordination. Click Here to download the Free Ministry Certificates. On Father's Day, your Sunday School class can learn to appreciate their fathers and have fun at the same time with these Father's Day Activities. They will also see the connection between the dad who tucks them in their bed at night and their Father who is in Heaven. Always remember to be sensitive to the fact that there may be some Sunday School children in the class who just may not have a father at home. For those children who does not have a father at home reassure them that they have a Heavenly Father with them and emphasize the Love He has for them. Click Here to download the Father's Day Activities for Sunday School. Shepherdbase (Church Membership Database) is ONLY $34.99. You will also receive 2 Offering Envelope Templates and Offering Count Sheet free as a Bonus for purchasing Shepherdbase! Hurry and Enjoy these Savings! 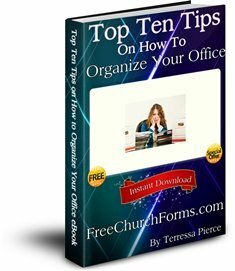 Free church forms, certificates, flyers...(550+ forms each in PDF and Microsoft Office Word format - some in Excel). Also continually updated to include the latest forms created.